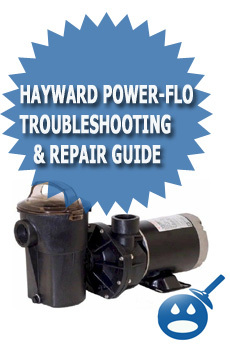 Usually you see the Hayward Power Flow swimming pool pump on above ground pools. 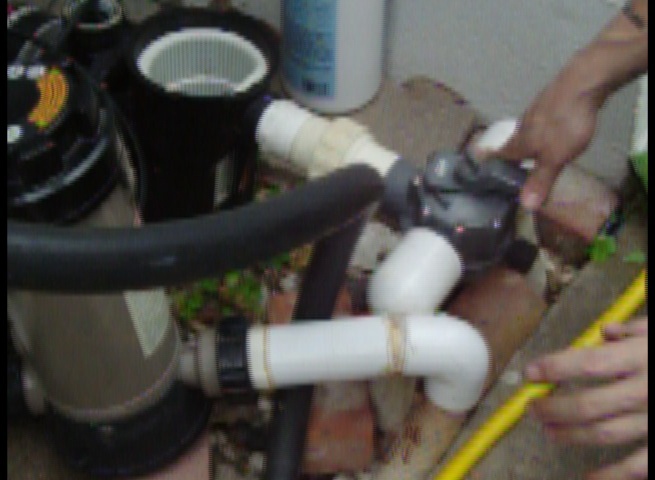 On this one pool we were opening they had a power flow as you can see here in the picture. 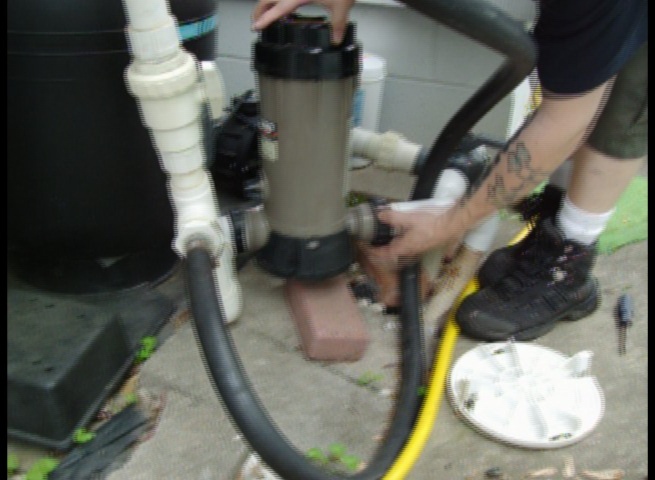 The pool skimmer was only a few feet away so it was pretty easy for the pump to draw suction from the skimmer. 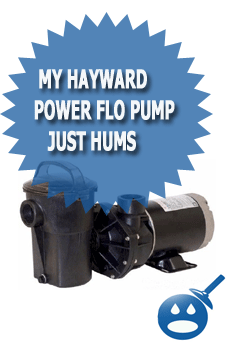 If the skimmer was further away a Hayward Super Pump would be a better choice. 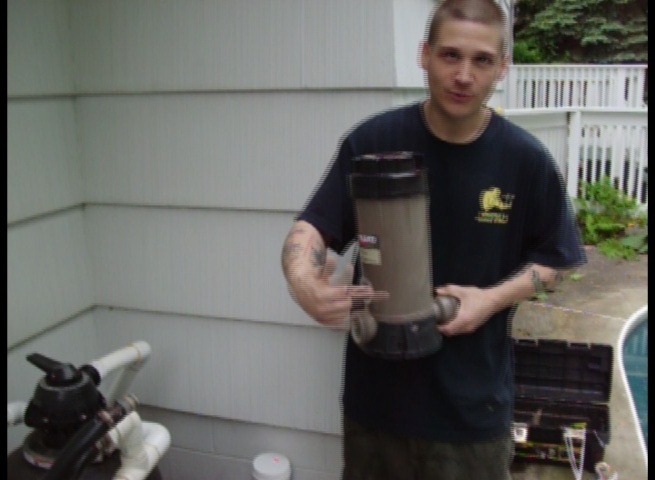 Once you locate the parts to the filter system you can start assembling what was taken apart on the closing. You can see in the picture below that the drain plugs on the Hayward Power Flo were removed during the winter, you will want to screw those back into the pump and make sure that they are tight. 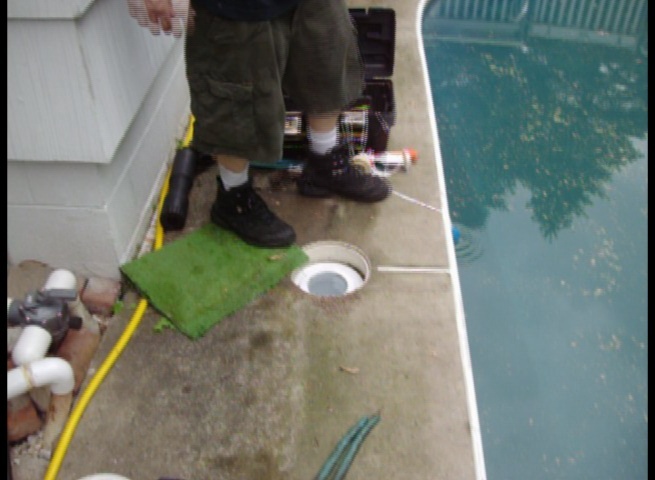 Once you screw in the drain plugs into the pool pump as you saw we did above you will want to locate where the pump attaches to the swimming pool filter plumbing. 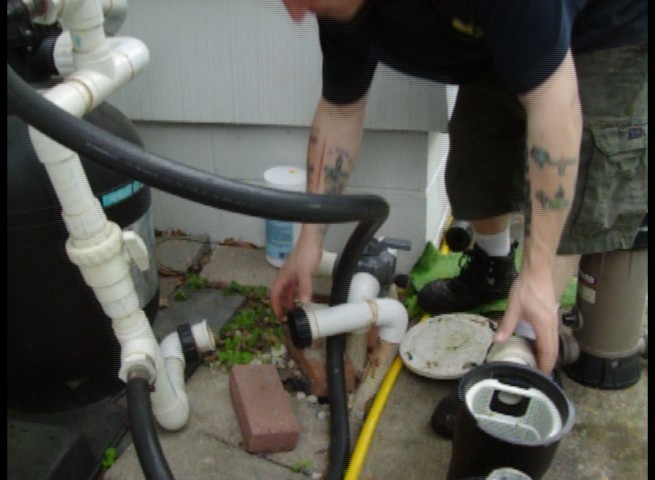 You can do this by matching the union fittings on the swimming pool plumbingÃƒâ€šÃ‚Â with the pipe fittings on the pump. 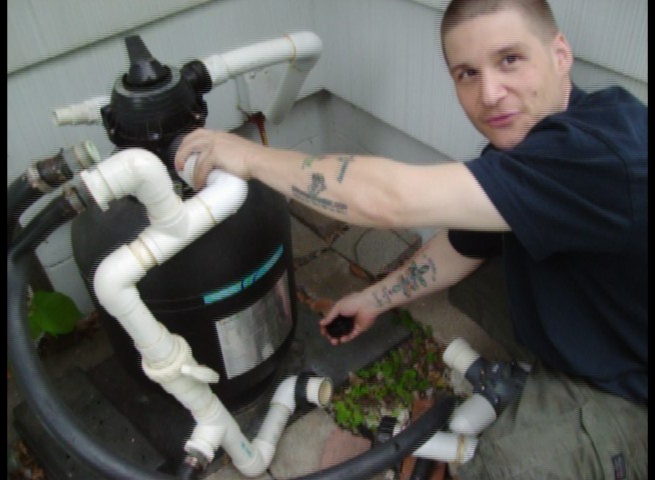 Now, before you put the pump into place you will want to hook the drain plug onto the filter tank first, that way you are not working on top of the pump when its installed. Its way easier to put the drain plug on now, Vs having the pump in that spot. So you can see here that the pump is not installed yet and the drain plug is going on. 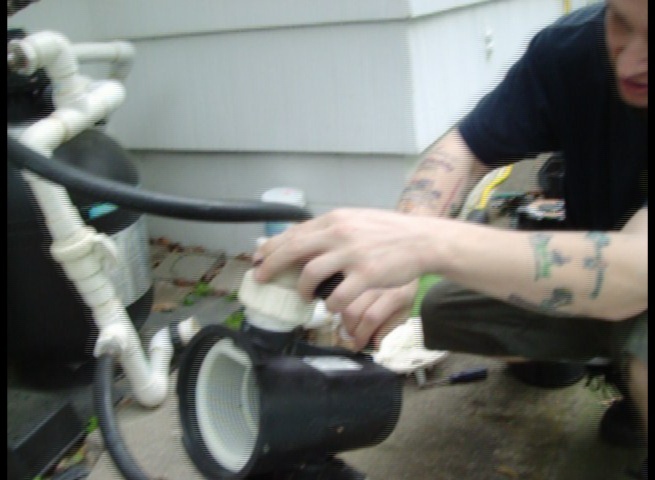 Once the drain plug is screwed on to the filter tank and is tight you will want to grab the pump and put it into place and make sure that the fittings on the suction and the discharge side of the pump match up with the swimming pool plumbing. 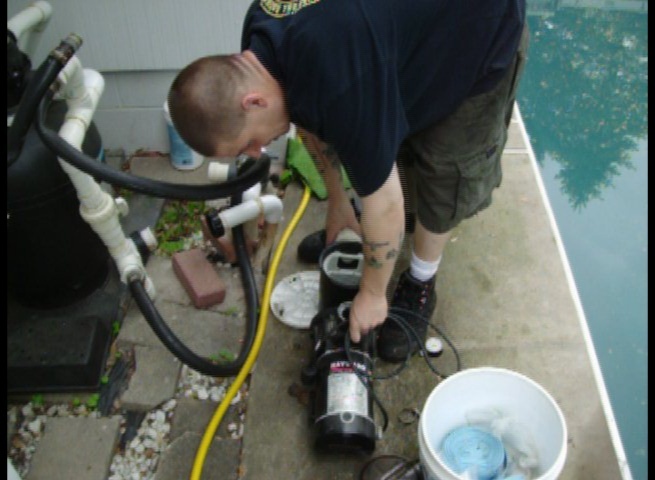 Here you can see the Hayward Power Flo pump in place and being hooked up. Notice at this time the suction intake valve is still also in the closed position. You will need to open this valve before you can run the filter system. 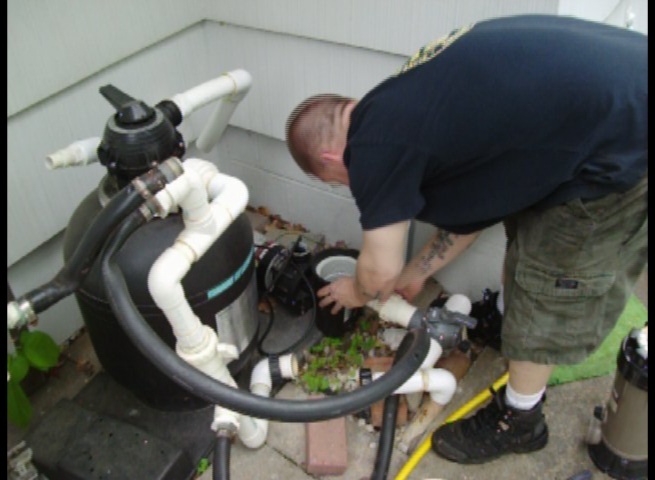 The suction side and the discharge side of the pump must be hooked up to the filter system plumbing. Now that the filter drain plug has been installed and the pump is on place with the suction side and the discharge side hooked up it was time to hook up the Hayward Inline Chlorinator.Ãƒâ€šÃ‚Â There is an arrow on the side of the chlorine feeder that shows the direction of flow. You have to make sure when you install the inline Hayward Chlorine Feeder that you have the direction of flow pointing the right way. Once you figure out your direction of flow you can set the inline chlorine feeder into place and start to tighten the unions on both sides.Ãƒâ€šÃ‚Â Make sure that you also install the o-rings before tightening the union collars. If the Chlorinator o-rings are dry or cracked they should be replaced otherwise they will just leak when the filter system is running. 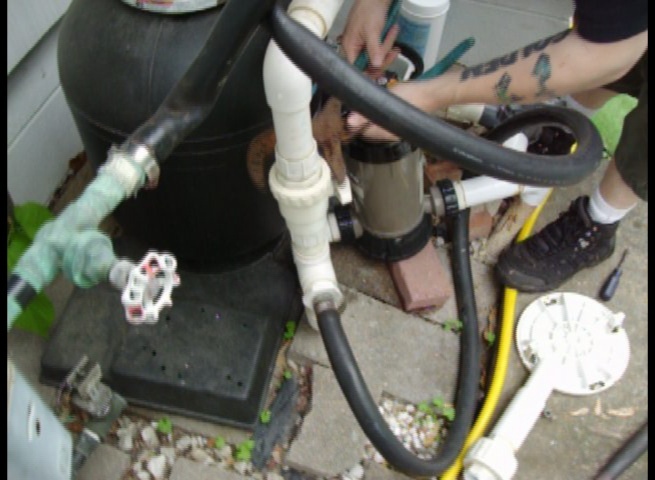 Once the chlorine feeder is in place and tighten up you will want to make sure all the other unions are tight so when you start the filter system you will have no surprise leaks. Now you can open the three way direction valve in front of the pump. Set this to skimmer to initially start up the swimming pool.Once the pool system is running and primed you can set this to 1/2 and 1/2 or main drain if you want to. So now that the valve is open, you can make sure you have enough water in the pool like we did and then prime the pump by filling it with a bucket full of water and away you go. 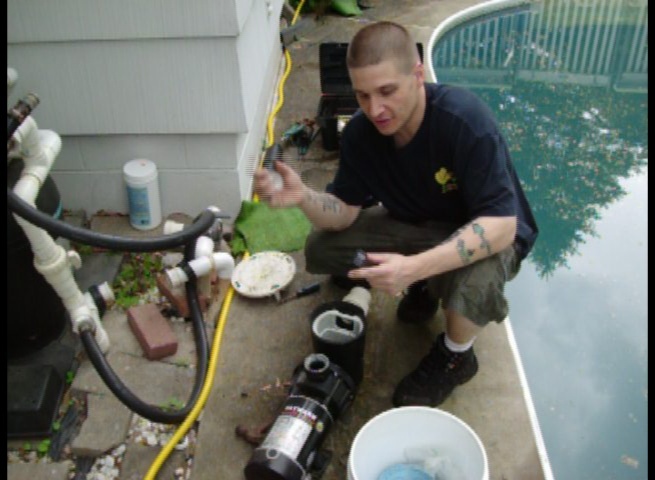 Your swimming pool filter system should start right up just like this one did for us. « Let’s Fan Fold That Loop Loc Cover Please!